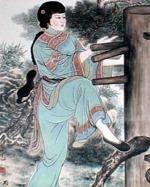 Chi, also known as Qi is an integral part of the internal martial arts of China. Not to be confused with the same word in Tai Chi (which means Supreme), it is an energy force that flows through everything. It can be enhanced with regular practice of certain movements, breathing exercises and meditations that are found in Tai Chi Chuan and other internal arts. 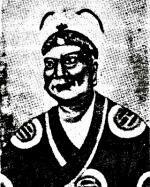 While it is impossible to verify with the sources currently available if Zhang Sanfeng had any influence on the creation of Tai Chi Chuan, it does seem likely that a Taoist monk of that name lived around the time of the Ming Dynasty and had an influence on the temples in the vicinity of the Wu Tang Mountains. As a Taoist, he would have had knowledge on the Three Treasures, Jing (the body's physical essence), Qi (life-energy/breath) and Shen (silent mental focus) which are important concepts within modern Tai Chi. It could also be said that as a wandering holy man he would have had to have been skilled in the martial arts in order to defend himself on the roads, though whether or not he actually created a new style of fighting is questionable at best. 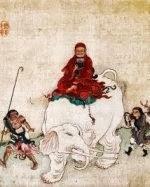 "What is essential to practice the Tao is to get rid of cravings and vexations. If these afflictions are not removed, it is impossible to attain stability. This is like the case of the fertile field, which cannot produce good crops as long as the weeds are not cleared away. Cravings and ruminations are the weeds of the mind; if you do not clear them away, concentration and wisdom do not develop". Zhang Sanfeng is a legendary Taoist monk who is believed by some to have invented a style of fighting called Mien Chuen (Cotton Fist) that would evolve into modern day Tai Chi Chuan. While it is questionable whether he actually existed, the tradition of his influence on Tai Chi is a relatively long one. 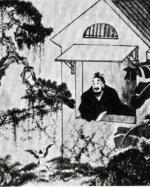 A 1670 book called Epitaph describes him as the founder of the internal arts practiced in the Wu Tang area and by the 1870s, teachers of Yang Tai Chi were tracing their roots back to him. However, many scholars believe this claim was made in order to legitimise the Yang style by giving it deeper historical roots. They suggest that the five main styles of Tai Chi that are practiced today all stem from the system developed by Chen Wang-Ting, a renowned seventeenth century martial artist from the Henan Province. Zhang Sanfeng is said to have lived during the Ming Dynasty (1368 - 1644) though there is little agreement on exactly when. While some sources have it that he was born a number of years before the start of the era, others state he lived through the earlier part of the period and others still maintain he was alive in the later part of the sixteenth century. Born near Longhushan Mountain, as a young boy he was sent to the Shaolin Temple to learn martial arts. At the age of twenty, he left the temple and began wandering around China developing his knowledge in both kung fu and Taoism as he travelled. For a number of years, he is said to have lived around the villages and mountains of Huangshan, spending much of his time observing nature in the surrounding forests. He would often appear as if from nowhere when help was needed in the village; he would work for the day in the fields, help gather cattle or assist a villager who needed to build a house and when the work was done, he would just disappear without a word. After around ten years of living near the mountains of Huangshan, he made his way to the Wu Tang Mountains where he lived much the same lifestyle, spending his time learning and later teaching Qigong, traditional medicine, meditation and even alchemy. One day, so the story goes, he was looking out of his window (some sources state that he was dreaming), when he saw a fight ensue between a snake and a bird (depicted below), usually stated to be a crane though sometimes other birds are named such as a magpie. The movements of the two animals fascinated him, in particular he admired the snake’s calmness and its posture when ready to strike. He was also impressed by the way they both switched seemingly effortlessly from moving in a slow, calculating manor to a fast, explosive attacking move. This would inspire him to invent a new form of kung fu and by combining Taoist breathing exercises with the flowing movements of the bird and the snake he created the internal martial art Mien Chuen, which some believe would go on to evolve into Tai Chi Chuan. Sanfeng began practicing his new art in secret, retreating to the woods to perfect the moves where he is said to have created the ‘Thirteen Postures’ of Tai Chi. One day, his skills were put to the test when a band of thieves set upon him. He used evasive manoeuvres to avoid their attacks and when they wore themselves out, he struck them all down. Soon after, he began teaching his moves to the monks at a nearby Wu Tang Temple, giving them instructions on slow and fast forms each day at dawn then again at dusk. This knowledge would go on to be passed down to future generations of monks, many of whom would claim that Sanfeng appeared while they were practicing to check on the development of the art he founded. This has led to a number of legends surrounding the master; some have in that he lived for two hundred years as a result of his practices of internal healing, breathing exercises and possibly also due to his knowledge of alchemy. Others have it that there were actually two masters that went by the name Zhang Sanfeng who lived similar lives as Taoist monks in the Wu Tang Mountain, one living around 960-1279 CE and the other between 1279-1368 CE. However, the most prevalent myth states that he was sighted for so many years after he should have died as he was a Xian. This is a type of transcendent spirit who is immortal and capable of magical powers. As enlightened beings, they can appear to the living in order to help and teach them, and as is the case with Zhang Sanfeng, a Xian is often worshiped by their followers as a type of demi-god. Chang San-Feng. [Internet]. 2016. Egreenway. Available From: http://www.egreenway.com/taichichuan/chang1.htm [Accessed January 28, 2018]. Tai Chi. [Internet]. 2013. Black Belt Mag. Available From: http://blackbeltmag.com/category/tai-chi [Accessed January 28, 2018]. Tai Chi Background. [Internet]. 2012. The Peopling of the Parks. Available From: https://macaulay.cuny.edu/eportfolios/rosenberg12/tai-chi-background [Accessed January 28, 2018]. 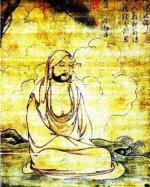 The father of Tai Chi and a mysterious immortal Zhang Sanfeng. [Internet]. 2017. Internal Wudang Martial Arts. Available From: https://internalwudangmartialarts.com/2017/04/17/the-father-of-tai-chi-and-a-mysterious-immortal-zhang-sanfeng [Accessed January 28, 2018]. 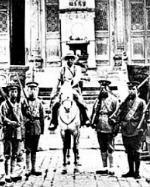 http://qi-encyclopedia.com/?author=Zhang-Sanfeng [Accessed January 28, 2018].